We&apos;ve been heartbroken over David Bowie&apos;s death, and while there are different ways to pay respects to the iconic singer (like visiting the memorial at his Hollywood star), there is a long list of tribute events honoring him throughout Los Angeles in the coming weeks. 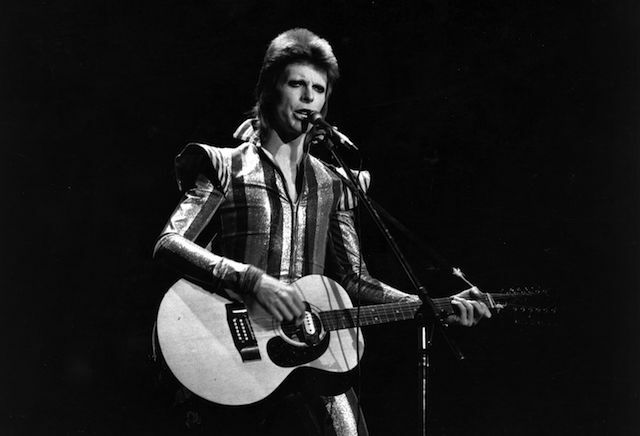 From an all-day affair at the Rainbow Bar & Grill to Cinefamily movie screenings of some of the Thin White Duke&apos;s best films and plenty of dance nights where you can don your best Ziggy Stardust outfits, here are our favorite events around town celebrating the life of an amazing man. Lucky Strike&apos;s "Ultimate Jam Night"
The Lucky Strike in Hollywood will be throwing a tribute night on Wednesday, Jan. 13, not only for Bowie but also for late Motörhead frontman Lemmy Kilmister. Mikkey Dee of Motörhead, Robby Krieger of The Doors, members of Steelheart and The Offspring, and Butcher Babies will be performing. Lucky Strike is known to have some surprise guests, so there might be some big celebs in the mix there. Lucky Strike is located at 6801 Hollywood Blvd. in Hollywood, (323) 467-7776. Doors open on Jan. 13 at 8 p.m. Free..
It&apos;s fitting that the cleverly named Bowie tribute band The Band That Fell To Earth will be performing all week at different Houston Hospitality throwback bars throughout L.A. They&apos;ll be at Break Room 86 on Wednesday, Jan. 13., and then at Good Times at Davey Wayne&apos;s on Thursday, Jan. 14 and Sunday, Jan. 17. Break Room 86 is located at 630 S Ardmore Ave. in Koreatown, (213) 368-3056. The band will perform there on the evening of Jan. 13 around 11:30 p.m. Free. Good Time at Davey Wayne&apos;s is located at 1611 N. El Centro Ave. in Hollywood, (323) 962-3804. The band will perform there on Jan. 14 and Jan. 17 starting at 7 p.m. Free. More info here. Rainbow Bar & Grill, a Sunset Strip spot Bowie would visit, will be honoring the late singer in a big way on Friday, Jan. 15. All day long, they&apos;ll be playing nothing but Bowie on their speakers. As for the evening&apos;s festivities, they&apos;ll have band Merkin, which is influenced by the likes of Bowie and Talking Heads, open around 10 p.m. Bowie tribute band, The Band That Fell To Earth, will perform after. And in between the two acts, sometime between 11 p.m. and midnight, there will be a Bowie costume contest held upstairs where the first place winner will get a $100 gift certificate for the Rainbow Bar and a nice bottle of wine. There will be prizes for second and third place winners as well. Rainbow Bar & Grill is located at 9015 Sunset Blvd, West Hollywood, (310) 278-4232. Doors open for the event on Jan. 15 at 9 p.m. Cover is a $7 ticket that can go towards drink and food. We always love a good throwback &apos;80s dance party, and Blue Mondays at Boardner&apos;s in Hollywood is doing something special for the Thin White Duke. They&apos;re hosting a special FREE "Black Fridays" night as a tribute to the singer. All they request is that you RSVP on their Facebook page. Boardner&apos;s is located at 1652 N. Cherokee Ave., Hollywood, (323) 462-9621. Event runs on Jan. 15 from 10 p.m. to 2 a.m. Free. More info here. Downtown L.A.&apos;s Monty Bar is hosting a special "Heroes" night honoring both Bowie and Motörhead&apos;s Lemmy on Friday, Jan. 15. They have a huge, stellar lineup of big-name artists DJing songs from the two greats, and also telling stories about them. Here&apos;s some of the artists scheduled to be there: Danny Lohner of NIN, Jerry Casale of Devo, Kevin Haskins of Bauhaus and Love and Rockets, Cevin Key of Skinny Puppy, Wes Eisold of Cold Cave, and Billy Howerdel of "A Perfect Circle, Bowie Tour." Monty Bar is located at 1222 West 7th in downtown L.A. Event takes place on Jan. 15 at 9 p.m. No cover. More info here. Bowie is getting a proper tribute at HM157&apos;s "Ashes to Ashes," a night honoring the musician in an old Victorian mansion. They have a long lineup of artists performing beloved tracks from "Life on Mars" to "Five Years," a Prix de Beauté burlesque tribute to the legend&apos;s Diamond Dogs concept album, projections by The Mystery Machine, and DJs spinning outside and inside the stage areas. They&apos;re also asking for guests to bring something for the Bowie shrine at the house, as well as dress up in your Bowie best (not in black). They&apos;ll have a couple of fire pits outside where the stage will be, but make sure to dress warmly. HM157 is located at 3110 N. Broadway in Lincoln Heights. Event starts on Jan. 16 at 8 p.m. Suggested donation $5. More info here. Every Part Time Punks event feels like a love letter to your favorite artist, and their David Bowie tribute nights are no exception. They&apos;ll be hosting a special Bowie night on Sunday, Jan. 17, with DJ Andy Rourke (of the Smiths) and Jose Maldanado (of Sweet & Tender Hooligans) on the ones and twos, showcasing over 40 years of Bowie&apos;s catalog of music. The last time we went, there were lots of people dressed in their favorite Bowie-inspired outfits (like Ziggy homages), so you can probably expect to see the same but in full force. We suggest buying your tickets online early because this most likely will sell out. Part Time Punks will be held at the Echoplex located at 1822 W. Sunset Blvd., Echo Park. David Bowie Nite will be held on Jan. 17 starting at 9 p.m. $10 to $15. More info here. Over at one our favorite dive bars, The Short Stop, they&apos;ll be throwing a Bowie tribute for Rubbish Night. They&apos;ll have their resident DJs as well as special guests spinning Bowie tracks, and well as have videos and images of him projected throughout the night. The Short Stop is located at 1455 W. Sunset Blvd., Echo Park, (213) 482-4942. Free. Event runs on Jan. 20 from 10 a.m. to 2 a.m. Free. More info here. 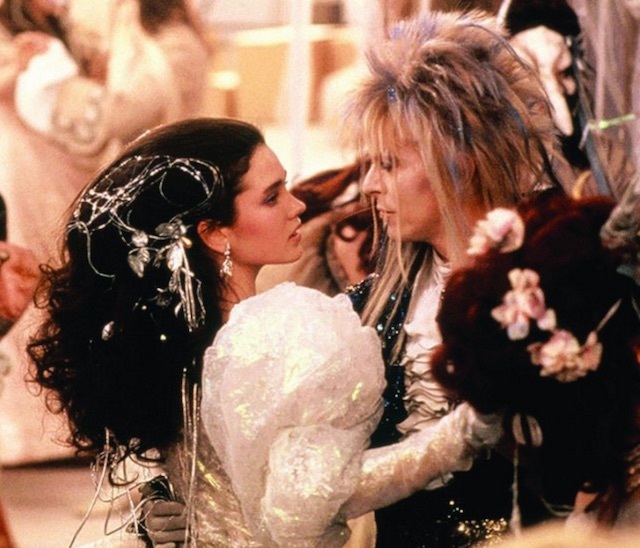 Time to celebrate the Goblin King and the 30th anniversary of Labyrinth with a special midnight screening at the historic Vista Theatre. Expect costume contests, though you can dress up in any theme/era costume, and it doesn&apos;t necessarily have to be from this movie. This is an event helmed by Nerds Like Us, a group that takes over the Vista once a month, bringing fun &apos;80s and &apos;90s screenings. Friday night&apos;s show has already sold out, but Saturday night tickets are still available online here. Vista Theatre is located at 4473 Sunset Dr. in Los Feliz, (323) 660-6639. Event is on Saturday night on Jan. 23 at 11:59 p.m. Tickets are $11.50. More info here. David Brighton, one of the best Bowie impersonators who tours around the world, will be performing with a band to pay tribute to the musician at Laguna Beach&apos;s Mozambique steakhouse bar and lounge. Cover is $10, but if you want to grab a table and dinner, make sure to make a reservation. Mozambique is located at 1740 S Coast Hwy, Laguna Beach, (949) 715-7777. Cover $10. Event is on Jan. 23 from 9 p.m. to 12 a.m. More info here. Everyone might be honoring Bowie and his music, but let&apos;s not forget his acting chops. From Jan. 29 to Feb. 1, Cinefamily will be celebrating Bowie&apos;s films, including The Hunger, Labyrinth, The Man Who Fell To Earth and Merry Christmas Mr. Lawrence (in 35 mm!). We suggest getting your tickets online early as we expect these to sell out. Glendale&apos;s Moonlight Rollerway is throwing a skate night set to the tunes of the Thin White Duke on Thursday, Feb. 4. There will be a DJ spinning Bowie tunes all night for this all-ages event.